It all started with painting sports murals for teams like the Minnesota Vikings back in the 1980s. That led artist Tom Shultz to painting retro cars, and then his focus continued to shift even further, to the road. 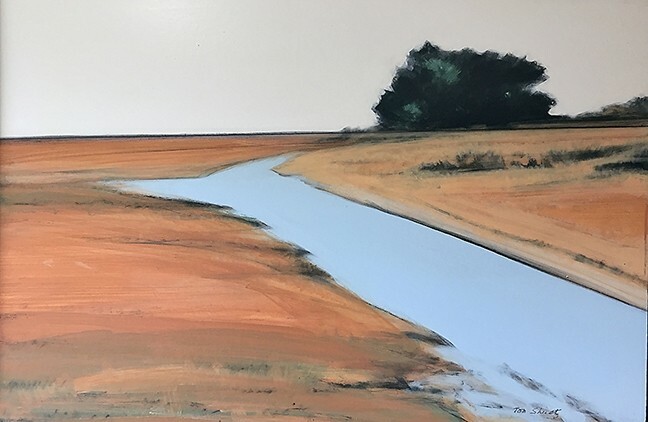 EVOLVING : The subject matter of Atascadero artist Tom Shultz has evolved from sports, to cars, and to roads and landscapes like Morro Bay Estuary over the years. 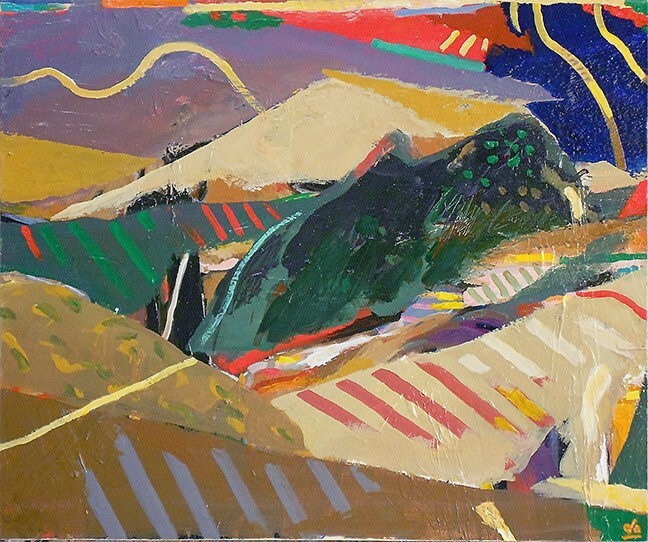 Shultz’s work, along with the paintings of artists Patrick Adams, Donald Archer, and Tom Peck, is currently on display as part of the exhibit of abstract expressionist landscapes called Dirty Pictures, currently on display at Studios on the Park in Paso Robles. The name is a fun, cheeky nod to the fact that landscape scenes of course feature a lot of of dirt, and the quick, varied brushstrokes employed in the pieces in this exhibit also give the paintings a sense of movement and earthy grittiness. Now Shultz has moved his focus beyond the roads and hills, he’s looking up—at the sky and the great beyond. It’s made him calmer and brought the artist a sense of peace. HEAR THOSE HILLS : Cambria artist Donald Archer sees the rural landscape as a rhythmic patchwork quilt. 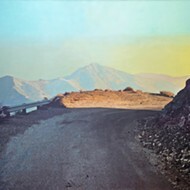 This piece, 'Valley Rhythms' was inspired by Santa Rosa Creek Road in Cambria. While Shultz started out with pretty representational art, his co-exhibitor Archer came from an abstract background and worked his way over to the more life-like side of things, before bouncing back to more familiar territory again. Archer is currently based in Cambria and takes inspiration from the beauty of his home base as well as scenic spots like nearby Big Sur and Ojai. Vibrant colorful lines give Archer’s paintings a playful sense of movement that isn’t always present in a photo. 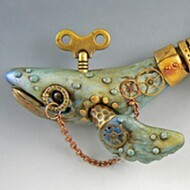 FILTHY : The Dirty Pictures exhibit, featuring the work of artists Patrick Adams, Donald Archer, Tom Peck, and Tom Shultz, will be on display at Studios on the Park in Paso Robles through May 29. 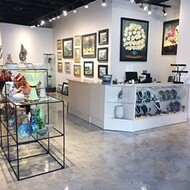 The gallery is open Monday through Wednesday from noon to 4 p.m., Thursday and Sunday from noon to 6 p.m., and Friday and Saturday from noon to 9 p.m. Visit studiosonthepark.org for more information. Above all, Archer hopes to shift people’s moods and maybe even change their perspective on the landscape. When you look at one of Archer’s paintings, he wants your eyes to bounce around like a pinball machine, unable to focus on just one aspect of the work for too long. Ryah Cooley isn’t afraid to get her hands dirty at rcooley@newtimesslo.com.